My own grandfather is a perfect example of this. We knew his life was near the end- but we didn’t want to admit it. Starting hospice felt like an admission that his death was imminent, like we were giving up. So we waited until the very end to start. Looking back, had we started services earlier, his final months might have been much more comfortable and pleasant. I honestly don’t know how to encourage people to use hospice sooner. I wish I had an easy answer. All I can say is that if you have a loved one who is terminally ill, it might be a good idea to at least start a conversation about hospice. Make a few phone calls, ask a few questions- and then decide if it is the right thing for your situation. A few weeks ago our team at Capability homecare attended Seasons of Hope luncheon which raised money for Evergreen Hospice. It’s the 4th year in a row we have attended- and each year I am inspired, hopeful and full of admiration for the dedicated people who so willingly work or volunteer their time, efforts and energy into caring for the dying. This year was no different. The speaker was a mother and her son who spoke of their personal experience of losing their husband/ father. Both spoke from the heart – and their pain was so evident in their voices- which cracked from holding back tears. They miss their dad/ husband so very much. But rather than talk about how much they miss him- they spoke of what a wonderful gift hospice was for them. They spoke of moving into the Hospice center at Evergreen and how their room sometimes sounded like a party- it was full of love, of family and of storytelling. They spoke of how grateful they were for the loving nurses who eased their pain and took away the burden of caring for him all alone. The hospice nurses and volunteers were respectful, compassionate and caring. Hospice care turned something that is devastatingly hard into something bearable. Let’s face it, dying is sad, there is no doubt about it. Not knowing what to expect and what to do to comfort to your loved one is part of what makes it so hard. Fortunately, through the expertise of hospice care something that is extremely difficult and heart wrenching can be made a little bit better. If you want to learn more about hospice, check out Evergreen hospice. 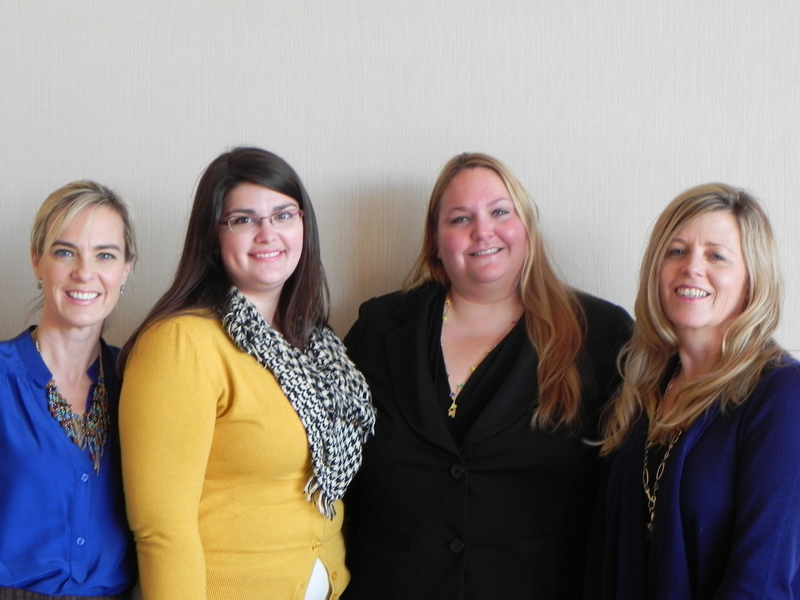 Megan, Katie, Laura and Marni- the Capability Homecare team- attending the Seasons of Hope Hospice luncheon.